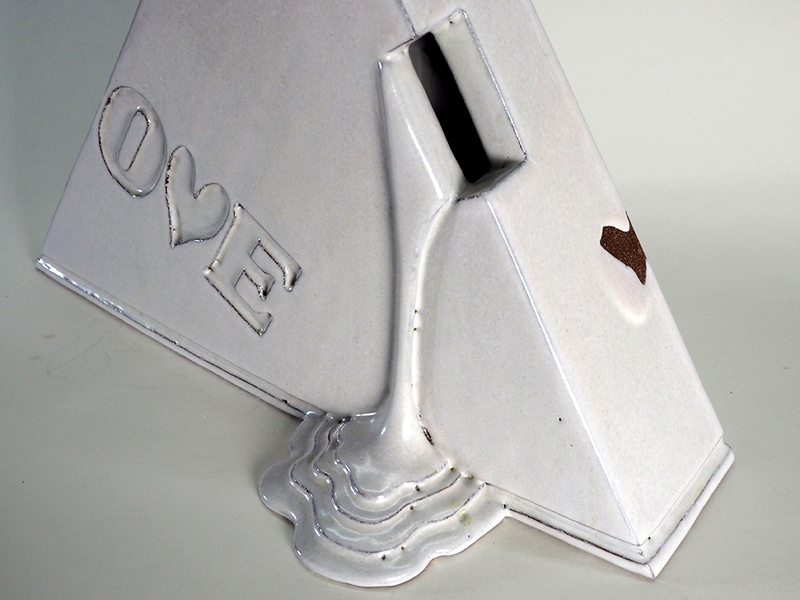 MIWA Ryosaku | Hagi White Glazed Sculpture "LOVE" (Triangle) — Dai Ichi Arts, Ltd.
MIWA Ryosaku三輪龍作 (1940- ), brings a very modern eye to the tradition of Hagi-ware. The twelfth member of his family to hold the title `Kyusetsu休雪,’ the artist closely observed his father and uncle create Hagi pottery from a young age, quickly becoming familiar with the style’s distinctive materials and techniques. While Miwa uses the characteristic white tones of traditional Hagi glaze, which has been in use for twelve generations, he departs from tradition in both form and function. The artist renders spontaneous personal feeling in clay, exposing human passion and emotion not unlike the masters of Western modernity. Miwa studied Goya, Van Gogh, and Soutine as a student in Tokyo, and admired the powerful expressionism of Modernist painting. MIWA Ryosaku | Hagi White Glazed Sculpture "LOVE"
2018 (C) Dai Ichi Arts,Ltd. New York, All Rights Reserved.